Doodad & Fandango is a pop-art statement jewellery brand based in Sydney from the creative Nikita Majajas. Her products are targeted to those who love to wear accessories that screams larger than life personality. Influenced by the history of fashion, travel, architecture, and good humour, these accessories are standing out big time. From her ‘Cry Baby’ earrings to her lobster claw necklaces, Nikita embraces all parts of life with a cutting edge style. If you’re dying for a career in art and design – and to actually make a living out of it – Nikita Majajas is someone to keep close tabs on. Before creating Doodad & Fandango, Nikita studied fashion design and shoe making as well as sussing out a few different jobs like working in Production and the Wardrobe department in the TVC Industry, as well as working in the fine jewellery retail sector. For Nikita, these didn’t make the cut; she wanted to pursue a more creative path – and TA-DA – Doodads were invented. “I’ve been around for a while… And it took me a while to work out a way to make a living doing something creative that I loved. And that other people loved too!”. 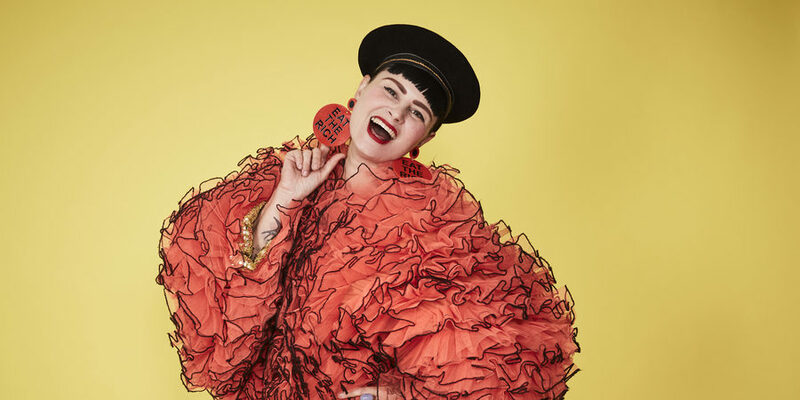 Inspired by the authentic appeal and compound materials of 1930’s and 1950’s costume jewellery, Nikita uses environmentally friendly methods in the production process to reduce her carbon footprint, making Doodad & Fandango accessories highly desirable. At this point in time, people want to wear unique fashion and follow the trend of caring for Mother Earth, which is a bloody important trend that needs to stay put. 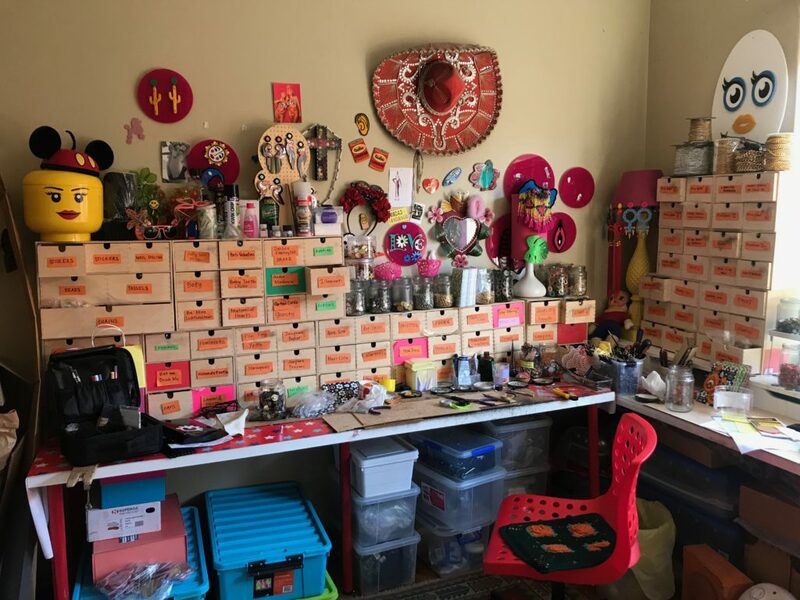 Nikita creates her accessories using her laser machine, assembles it all in her studio, then sells most of her pieces online. According to the 2018 e-commerce industry paper, “Australian shopper’s expectations around convenience, value and choice have driven a higher proportion to shop online.” Nikita’s shop is her website and her clients are just a few clicks away. Nikita covers more ground in selling her goods by dipping into traditional and progressive methods of selling. It’s hard in creative industries, like fashion and design, to make a living from what they love to do. However, Nikita has turned Doodad & Fandango into a full-time career for nearly two years now. It’s not all sunshine and rainbows though! Nikita is the sole creator of her Doodad and does everything on her own. Managing a business, let alone a creative one, is inevitably tough. There’s managing the social media, administration, designing the products and on top of all of that – actually making sales! “When I’m super busy and I have enough money coming in I have an assistant, but right now it’s not flat out, so I can’t afford it and I’m doing it all on my own, and it’s hectic. What helps build a brand? There’s also social media to be thankful for. With a whopping 41.8k followers on Instagram, Nikita uses this space to create the tone and attitude of Doodad & Fandango; it’s also the key platform that has worked in her favour in getting her brand recognised. As a big queer, she loves her LGBTQIA community, and this shines through her brand and social media. Nikita supports causes such as Access to Arts which is a “disability led organisation, who are passionate about disability and the arts, and want to remove barriers to the arts and arts opportunities”. Nikita is a strong believer in equal opportunity for anyone to express themselves through creative output, by eliminating social stigmas. Having a voice and showing what you care about reflects on your brand. This also helps people discover who exactly is behind the brand that they love. Despite social media praise, Nikita says it’s been a tough journey in getting mentioned by magazines or stocked in boutiques. However, this didn’t stop Nikita – and shouldn’t stop anyone for that matter! Look out for Nikita’s new collaboration with tattoo artist Sarah K on her website.